I can't recall his name, but we had a pleasant half-hour together last June -- hanging out in his open-air cabin alongside the Rio Cangrejal, just downhill from the Omega Jungle Lodge. The little pipe at left is his water supply. Don't ask me where it comes from. More about that afternoon, later. 1. Incredible false reporting by CNN (Esp)! CNN (ESP) is using a voice tape of an imposter saying it is Zelaya. IT IS NOT ZELAYA, doesn't even sound like him. How irresponsible. They were using Hugo Chavez's Telesur feed in this pretend telephone interview. J says the imposter has a Ven. accent. Even I could tell it was NOT Mel Zelaya. CNN should be sanctioned before they start a war in Honduras. 2. Yay! Micheletti! Whew. As far as anyone here is concerned, this IS A GOOD THING. The entire world is mis-informed. YES, it is true that it is called a 'coup', however, there are few civilians opposed to it.Okay, NO ONE seems to be reporting things as they are... Just a few things: 1) How many 'coups' are taken over by someone from the same party 2) How many 'coups' actually had SO FEW DEATHS (yes, there is ONE now... a 19'year old, but what the %&* to you expect when there are thousands and thousands of people with opposing views, gathered together in one place with police/army with guns. AND IF THEY WERE OPEN FIRING on the crowd, I'd imagine their shot can't be that bad!!!!! 3) It's been HOW MANY DAYS SINCE THIS STARTED, AND HOW MANY DEATHS...? LITERALLY NONE 4) Whose plane did Mel try to come back on???? Chavez'. People wake up!!!!!!!! 5) HE BROKE THE CONSTITUTIONAL LAW. From my extremely knowledgeable head on politics (NOT), they are waiting for things to calm down before letting him back, and they probably won't do it if he's bringing Venezuelan backing with him..
UPDATE: This FSBO (originally only through 5 July) is now on hold. But keep reading! Large kitchen with much counterspace and cabinetry. LR, DR, and 1st floor office (or extra bedroom). 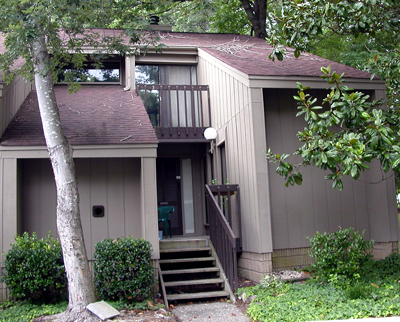 at 4100 Five Oaks Drive, off Old ChapelHill/Durham Rd. Excellent shape, both structurally and cosmetically, except for the funky wallpaper in one bathroom. Please contact me by telephone (919/491-4530) any time if you’d like to see the place.